Whole body MRI scanner delivers cross-modality imaging and remote access for real time analysis and diagnosis. 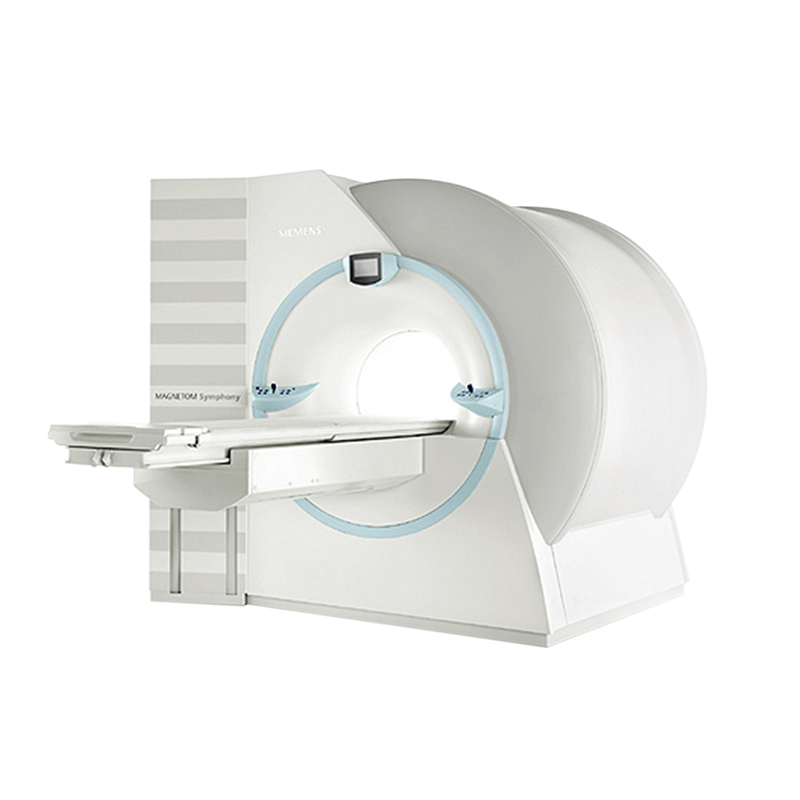 The Siemens MAGNETOM Symphony 1.5T is a full-body, 60-com bore MRI system that provides powerful imaging across all kinds of patients and procedures. Outfitted with Syngo Expert-i technology, the clinicians can access the Siemens MAGNETOM Symphony 1.5T imaging feed from anywhere on the network while a patient is being scanned. The Siemens MAGNETOM Symphony 1.5T MRI System is available refurbished from Avante Health Solutions. Contact an Avante representative today for more information. Whole body MRI scanner with 60-cm bore delivers a complete range of clinical applications. Versatile unit with powerful imaging technology designed to serve all kinds of patients and fulfill all requirements. Clinical applications facilitate powerful imaging without sacrificing patient comfort. Syngo cross-modality user interface is the basis for all MAGNETOM Symphony applications, delivering expanded capabilities in every clinical MR field. Syngo Expert-i technology allows clinicians to remotely access the MR suite from anywhere in the network. Inline Technology allows clinicians to keep working during image reconstruction and displays image immediately, rather than waiting for post-processing. AutoAlign allows clinicians to reproduce slice positioning with no manual adjustments required. Integrated Parallel Acquisition Technique (iPAT) minimizes scan time up to 75% so patients can breathe more regularly. 2D PACE MRCP without respiratory belt or cushion provides the comfort of free-breathing. Integrated Panoramic Array (IPA) provides flexible combinations of coils, expanding the anatomic range of coverage without coil or patient repositioning — saving up to five minutes per procedure or patient. Phoenix technology allows clinicians to easily access standard protocols to make exams more reproducible. Table lowers to 45 cm, offering patients increased accessibility.